Monument Square is clearly the City's center in terms of intensity of surrounding uses, but is it the center of activity and culture? Not really. It's nice, but could be nicer. How? perhaps a simple fix. Imagine series of 20-30 tables with 3-4 chairs each, underneath attractive red umbrellas of a sort you might see in front of a restaurant with sidewalk dining all ringimng the monument. 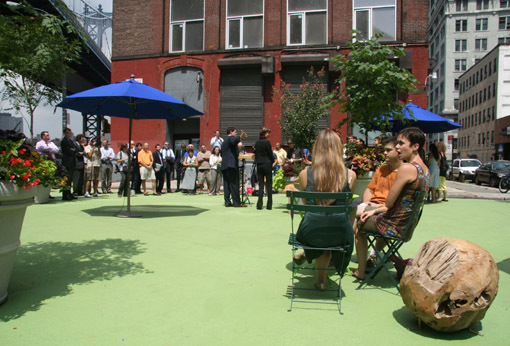 These tables and chairs would be moveable to allow for removal during winter and farmers' markets or other gatherings, and so that people could rearrange as they see fit (urban designers believe movable street furniture often does a better job at achieving its objective than planters or other functional seats). This idea is used all over the world in bigger cities (San Francisco has a "park" day where parking spots are turned temporarily into pedestrian pocket parks, with seating and other amenities, and they regularly fill up; NYC turned Time Square into a pedestrian area with tables like this, and other examples abound). What does or would this do? A couple things. It would allow people who are hanging out to have a seat, perhaps have a college student or two working outside on their computers (Free Wi-Fi, paid for by the City, would do wonders at attracting more), and would also show people driving by that something is happening there. This in turn would spur more interest in the area, and draw potential customers to the area for surrounding businesses. IF nothing else, great public spaces provide a place to see and be seen, so there is more to them than merely gathering for large events. They are places where you can sit, relax, do work, have a cup of coffee or impromptu meeting, or do anything or nothing at all. At the same time, the tables and umbrellas are a sight characteristic of great urban centers all over the world, and would do wonders for enhancing the cityscape even without people sitting at them. Problems: who would pay for it (City, but how?). Would it work even if wi-fi wasn't viable? Would people respect the chairs and not throw them about? 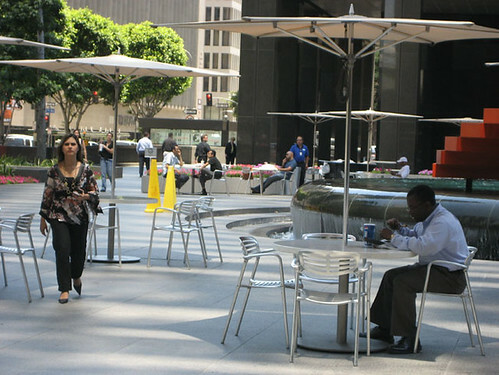 Would homeless people congregate on the tables and make it an unatttractive place thereby backfiring (like COngress Square Plaza, another place that I think this idea may work)? What would be done with the tables at night? and, my biggest concern, the City arts commission would get involved and try to ruin this by turning a very simple, basic urban amenity into an excuse to introduce yet another monstrous failure in urban public art (imagine bright purple and yellow swirling umbrellas that look like origami with dysfunctionally shaped chairs and oddly positioned tables. Last edited by Patrick; 03-30-2012 at 10:46 AM. Great idea for a thread, Patrick. I think we all have some great ideas that are worth sharing but don't necessarily fit into the existing threads about new developments. 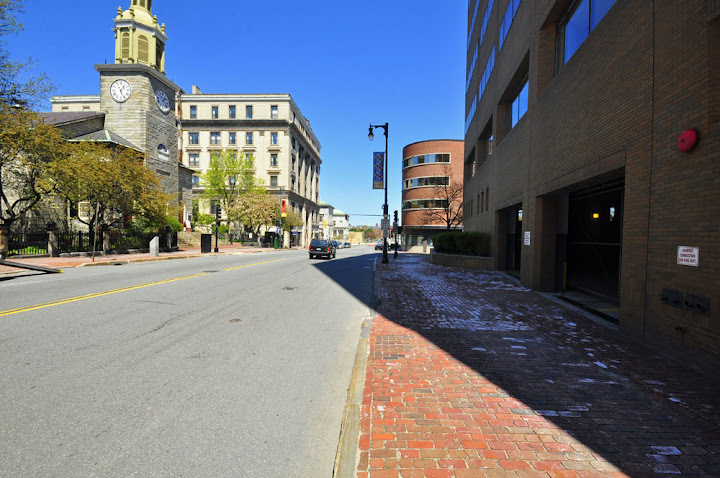 Monument Square has a lot of potential. It's already one of my favorite spaces in the city but there is always room for improvement. It succeeds in providing a public outdoor area and has a good amount of programming on a regular basis in the form of the weekly farmers market in the summer, the alive at five concerts, and things of that nature. The sidewalk seating of Shay's, David's, Other's Coffee, and the Spartan Grill are a great addition in the summer as well. I think the addition of more movable seating would be successful. Perhaps the Public Market House could kind of expand into the square during the daytime with vendors and seating. However, the possible problems you mention all seem valid. The first one that pops into my head is the issue of people respecting the area. It seems like these types of successful public spaces in other cities deter vandalism and most bad behavior by being busy. Much like the whole broken windows and eyes on the street theories, public spaces like this seem to benefit from a constant flow of people. So this square would be an ideal place to test your ideas. Probably another great design feature would be planting a row of regularly spaced context-appropriate (climate, size, shape, etc.) trees along Forest Avenue would do wonders for the City and, eventually, turning it into a multi-way boulevard with slow moving lanes on the sides separated physically from the center travel lanes would also be great. And how about more dog leash collars outside of local businesses downtown? The biggest design challenge I think is filling in the gaps. I spent hours walking around the city yesterday and today, just wondering around the various neighborhoods and soaking in the sights, only to be disappointed when a great neighborhood turns into a void somewhere (Gorham Corner, WCSH 6 and its surroundings, other areas near Carelton Street in the West End, etc.). We don't need these places being built on with ugly or mismatching suburban structures. Having read your article in the Portland Magazine....I think a great addition would be a reasonable amount of urban billboards. Being a heavily trafficked area could make these billboards hot commodities. Although some people despise billboards....it could be implemented with ceryain regulations....like only being used to advertise local businesses and could further enhance the buy local campaign.....another possible rule could be a cap on the number of billboards per sq mile, etc. This would certainly be helpful for local businesses and local artists and would help the creative economy. I love the thread idea. A friend and I submitted an entry to a competition for a bath house design for East End Beach a few years ago, and I'm always hoping to find similar, practical design competitions in New England. I wonder if the idea behind this thread could ever turn into something like that--a sort of occasional open competition or at least idea exchange--for specific issues in Portland. Competitions like that seem like a great way of generating interest in a topic. Agreed! I didn't know you competed in that competition, neat. Yeah, it was a really fun project. That was several months before I was aware of this website, and just as I was beginning to get into the more urban side of design. It was great to have an excuse (not that I need one--my girlfriend and I love going up) to take a trip to Portland to take photos and check out the site. Here's our submittal. Forget having another great article in Portland magazine, how about all the love being thrown at Patrick in the letters from readers section in the beginning? Man, Pat is on high demand by some big time ballers in the biz now. I've been wanting to make a thread like this for awhile but was going to call it "Finish Portland"
I like finish Portland. But then the very next thought I have is, what then? A new thread: Conquer Westbrook? I haven't yet seen the reader comments from this month's edition of Portland Magazine, so have no idea what they say, but glad to hear they are positive! I've been asked to speak at the annual MEREDA conference, the topic of which is downtown redevelopment through the concept of increased urbanism, along with two rocket scientist national keynote speaker experts (one actually is a rocket scientist, amongst other things), and an architect from Bangor as well as City of Portland Planning Director Alex Jaegerman. The article opened some doors, which is cool. I'm trying to write another one for Lewiston Magazine right now, but it seems less receptive and for some reason more hesitant to hear the idea. I made one for Fall River, since this is such a great idea. So, as this is a hypothetical forum, Im curios to know what buildings people feel like could use a redevelopment/ height increase? I think there's definitely room for more height in Portland--both on existing buildings and especially in some open lots. That said, most of Congress Street and the Old Port already has a strong urban feeling, with decent to good--and I might even argue appropriate--height throughout. A few towers with greater height would be good in Bayside, by the waterfront and elsewhere, but I personally strongly favor a collection of a few higher buildings among many more buildings of lower, but still urban scale--sort of like the spires and steeples piercing an old city. There are plenty of examples of cities with "better" skylines than Portland that don't feel nearly as vibrant or urban. Personally, I'd be less concerned with--but not opposed to--new towers than with filling in sections of town like Bayside with strong, urban scale buildings. Not that they have to be mutually exclusive, but without huge new demand, I'd much rather see a strong, new neighborhood of 3-5 story buildings than a few towers in parking lots or even mixed into existing neighborhoods. You are right sir. What gets me, though, is when people complain about height almost as if doing so "just because"...I've never, ever heard a rational basis for complaints about height. If it is blocked views, fine, but say so, don't say it is just too tall. Once the real issue emerges, there are solutions that become easier, like my favorite: the argument that views are blocked by a two story building as well, so nothing need be done because there is, in fact, no real problem. The other solution? Buy the building rights from your neighbor. 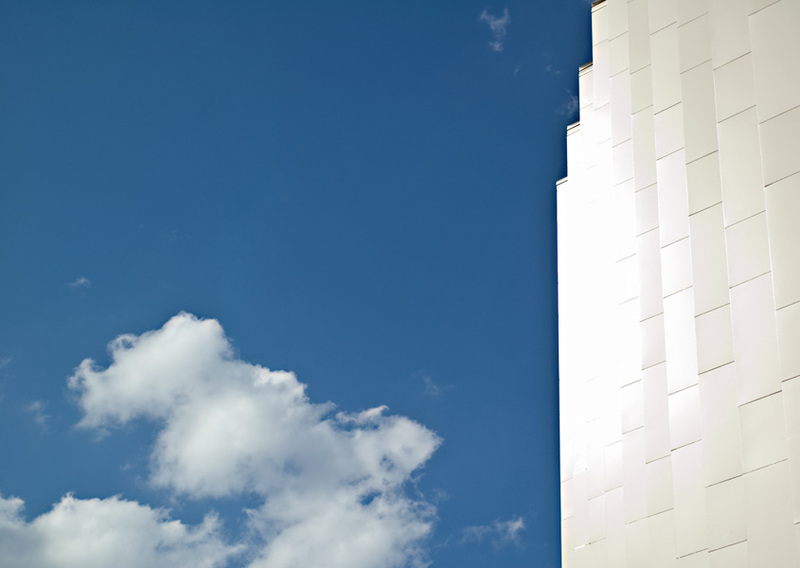 If the problem is blocked sunlight, say so, so that a solar easement can be established as a condition for increased height and reflective glass can be used if necessary. If the issue is wind tunnels, then I don't know what to say but I'd like to see some credible engineering studies before accepting that proposition. These are all things that have been complained about in Portland before, and we've had our share of skyscrapers proposed (30 stories, 22 stories, 20 stories, 19 stories, 15 stories)...none work out. Just out of curiousity Patrick, any existing buildings in particular that, in your opiniob, are ripe for redevelopment? 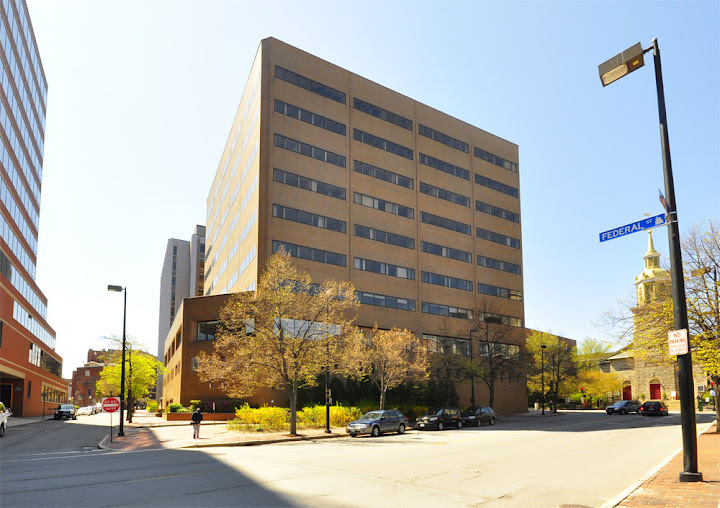 In my opinion Two Monument Square is a perfect candidate for additional floors. The owner has been considering an exterior makeover for the structure due to the recent transformation of it's connected twin. I think it's width and flat roofline would be perfect for 5 additional tapered floors and would exceed One City Center in height and look impressive from I 295. 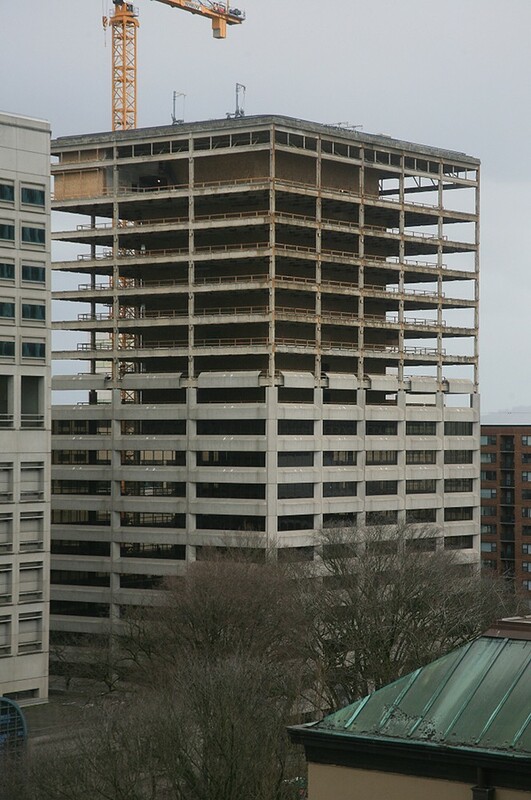 ^ I'd rather get the owners of One Monument Square to try a do-over on their building renovations. The new exterior they finished a couple years ago wasn't much of an improvement: it's still ugly as sin. 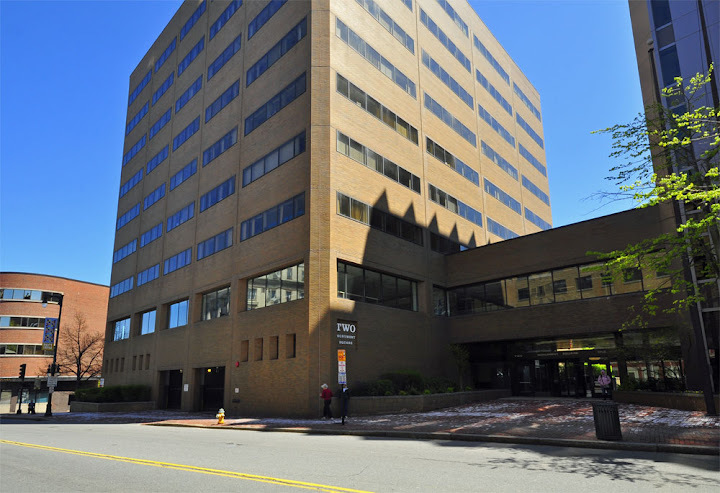 And the renovations also failed to retain the main tenant, Pierce Atwood, which developed its own, much more attractive building on the waterfront. I think the building is 70% or 80% vacant right now. The biggest problem is that 1 Mon. Sq. is the bland, beige backdrop to the Our Lady of Victory Monument as you're coming down Congress towards the Old Port. Anywhere else in the city and it would merely be a mediocre building; but because it's a prominent backdrop to the city's central public space, it reflects poorly on the entire city. You just can't ignore it. Imagine having something like that as your backdrop to Monument Square. If the owners of 1 Mon. Sq. stripped it down to the steel, they'd also have the opportunity to add a couple floors. Of course, they already did energy upgrades in the last go-round, and the recent renovations probably also put them seriously in the red, and there's also high office vacancy rates right now with a lot of other projects in the pipeline. So financially, it's probably not going to happen (at least, not with the current owners). Though I agree One Monument Square could have had a more impressive overhaul visually, I feel it is a huge improvement over it's original appearance. Most people I have talked to appreciate the buildings new look and Pierce Atwood's shoebox on Commercial Street, though improved, is still an unattractive structure. 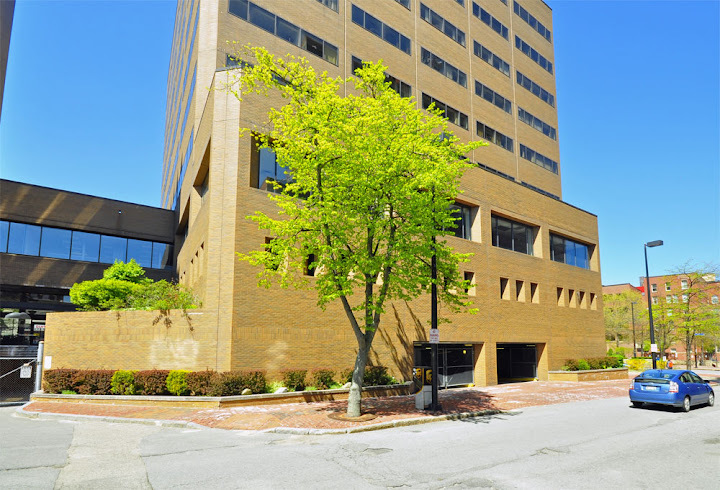 One Monument Square will eventually find a new tenant for most of the empty space and the new company will get their logo on top of the building which is one of the most visible locations on the peninsula. 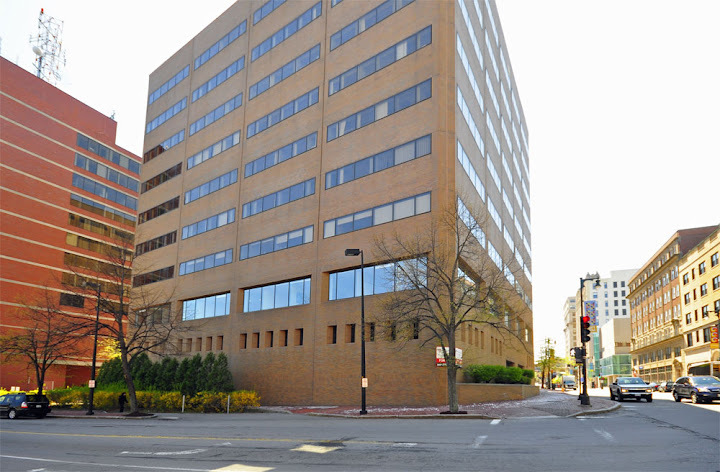 Few people know that One Monument Square was originally planned as a 20 story building in the late sixties. I agree with your thoughts on One Monument Square, Cneal. The current facade is an improvement over the original in that it looks newer but it really is just as ugly. 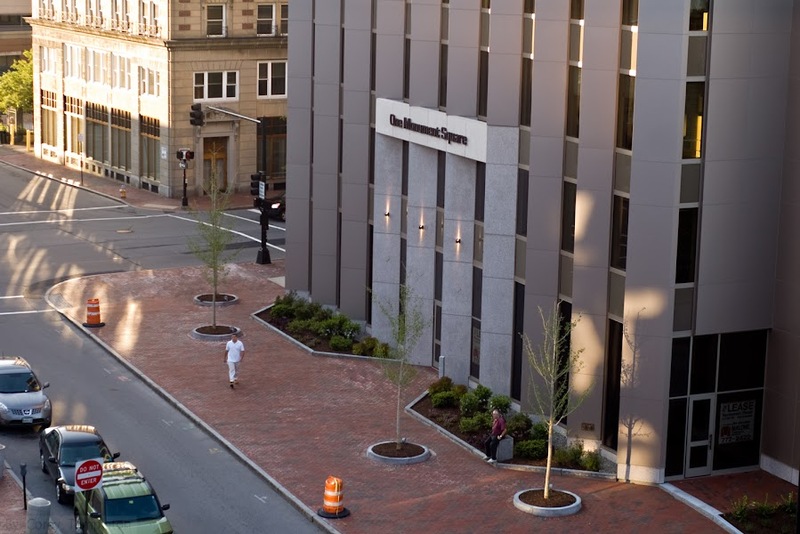 I was actually approached recently to take some photos of the Monument Square-side entrance to the building by the company that installed the granite panels around the new entrance. That new entrance on the square is a big improvement, although I would have liked to have seen a "bigger" entrance, perhaps more than a single glass door. I've been meaning to rant about this for a while. Two Monument Square has always annoyed me. These photos really speak for themselves, as does experiencing the building in person. So how could it be improved? 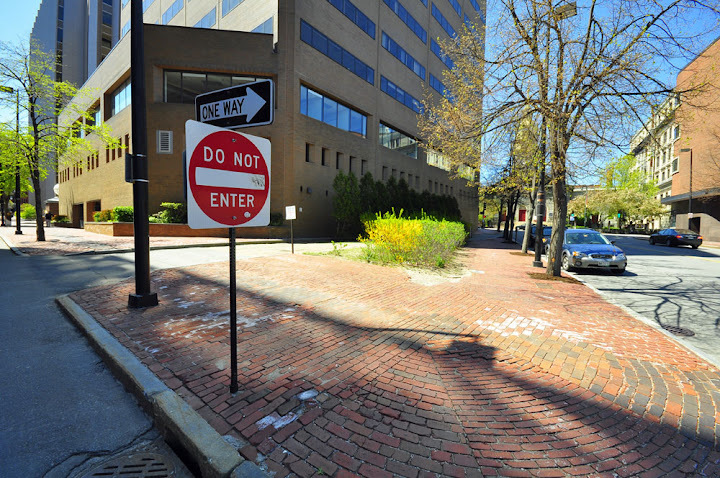 Some quick ideas include renovating the ugly brown facade, cleaning the unkempt shrubbery on Temple Street and perhaps adding a pleasant pocket park, adding an entrance to the building from Temple and Congress Streets, and perhaps remove the automobile entrance on Congress (there is an automobile entrance and a loading dock on Federal Street).